Some friends came and stayed at our house while we were on vacation and were kind enough to leave us a gift card to one of my favourite online bookstores. (Thanks Nick and Barb!) This was one of my purchases, and it had been on my wish list for a long time. I'm hoping I will love it as much as I loved The Privilege of Being a Woman. 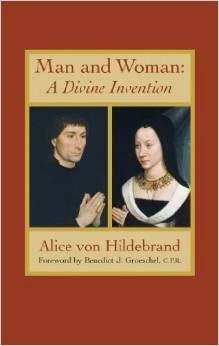 I mean if Rhonda Chervin says that it's von Hildebrand's greatest book, it's worth a look, don't you think? 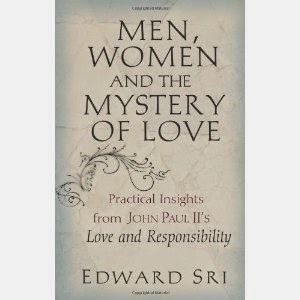 I attended a conference for Student Life Leaders in May and in talking with a dean from another college, he told me he had studied this book with his students. He had thought the chapter on friendship was especially good for students these days as Sri addresses a few modern problems that affect friendship - problems like technology teaching students to never make plans - and this was the main reason I bought it. I hope to get to this one before the summer is out and perhaps have a little study session with it next year. This book looks as if it came out of the $5 Walmart bin, but it grabbed me when I saw it in a box of books at my parents place. 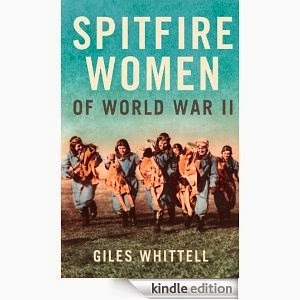 The picture of women on the cover, dressed as pilots makes me think of the adventure and the heartache that must've been theirs during the great war. I'm really looking forward to cracking this one open (and my new Rosie the Riveter bobble head tells me every day that "I can do it"). 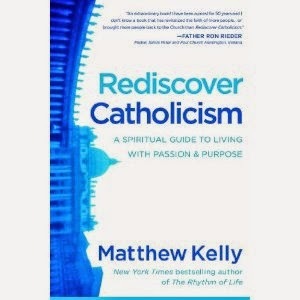 I went to the University of Steubenville with Matthew Kelly - went out for ice cream with him once while I was in Austria on their semester-long exchange. Matthew's a great guy and has really made something of himself. He goes around on speaking circuits winning souls to Christ and energizing and refreshing those within the Church. I mean, God bless him in his ministry! I found his book at a book sale and figured I could stand to be refreshed a bit. Oh my. I can't wait to read this one. Not so much cover to cover, but rather to open it up when I come across modern problems of etiquette and grace. 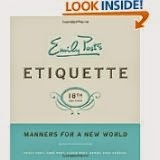 I would LOVE to have lessons in etiquette but unfortunately there's nobody up here in the 'wilds of northern Ontario' that teaches them, so the next best thing is going to the guru herself - Emily Post (or any of the Post family who I'm sure have had every lesson in how to be proper and charitable towards others). 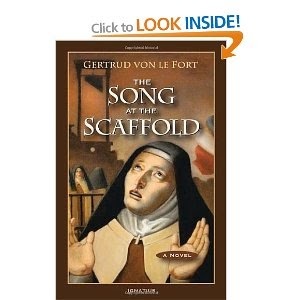 This was one of my box-of-old-books-finds, and I was thrilled - THRILLED - to find it only because von le Fort is one of those saintly gals that had a good handle on femininity, and was a good writer to boot! I'm looking forward to checking out her storytelling skills. One of my loves is decorating. I love doing it. I love making my home beautiful and comfortable and cozy. I'm constantly on the lookout for things that will look beautiful in my home, or things that just strike me in a certain way. 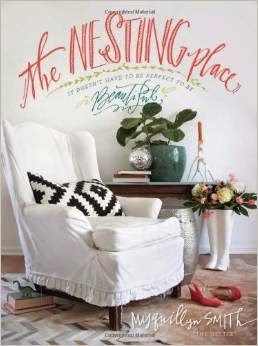 So Myquillyn had me at "It doesn't have to be perfect to be beautiful" - her mantra for decorating. How awesome is that? Her book, so far, is engaging, funny and chock full of pictures of her own gorgeous-but-not-perfect home and already I've taken some ideas of hers to use in my home. Looking forward to finishing it off while on vacation and changing up the decor in my home.